Tok Sen means "take off energy lines" in Thai. In other words it is a technique to clear blocked energy. An ancient form of therapy using a special wooden instrument to tap away the negative energy and ease muscle tension. It uses mechanical and sound vibration, working deeply through the fascia and muscles. This unique healing modality is found only in the Chiang Mai area of Northern Thailand (Lanna). Tok Sen is thought to date back over 5000 years, and was developed in Lanna while acupuncture developed in China. It is an energetic healing modality and is still practiced in the country areas, where farmers receive Tok Sen from family members after working in the fields all day. The tradition is only taught orally. There are no books describing it and it has passed down through farming families. 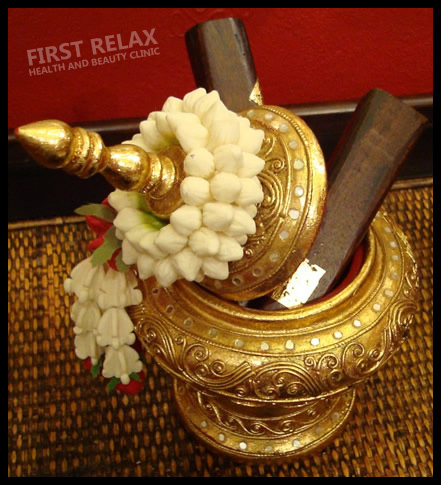 This type of Lanna massage treatment can be done with Traditional Thai massage.